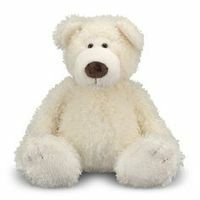 What says ‘love’ better than a sweet teddy bear? For most of us, it is our favorite childhood fluffy toy, the one who stayed by our side, protecting us at night and accompanying us on trips. Named after Teddy Roosevelt, the story goes that he was on a bear hunting trip and failed to shoot any bears. His aides then captured a bear and tied it to a tree, but Teddy refused to shoot it, saying it was unsportsmanlike. This was immortalized in a cartoon, inspiring a toy manufacturer, and the rest is history. With all the varieties out there, from the vintage to the kawaii, it is worth looking through Tumblr and other sites to find the perfect one for the kid in all of us.